The true story of a Victorian street crime. Created as part of a 16 week programme aimed at young people involved in street-gang culture and knife-crime, this comic tells the story of a real Victorian murder on the streets of gas-lit Liverpool. Bloody and atmospheric, this involving tale has uncanny parallels with street crime today. 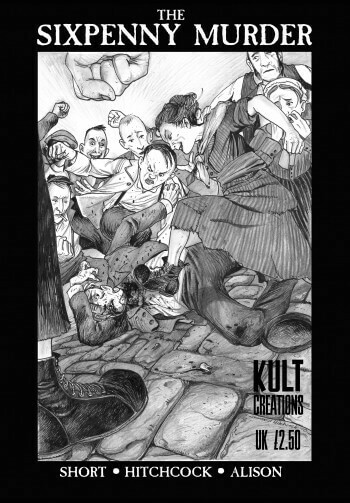 Kult Creations wanted to bring it to a wider, comic reading audience. Comic Heroes Magazine called it, ‘Impressive’. The Escape From Tomorrow Blog said, ‘This is great writing, dialogue and pacing’. Comicbits On-Line said, ‘Superb. More than just a comic’.